Our company holds vast experience in this domain and is involved in offering 500X325 Material Handling Crate. 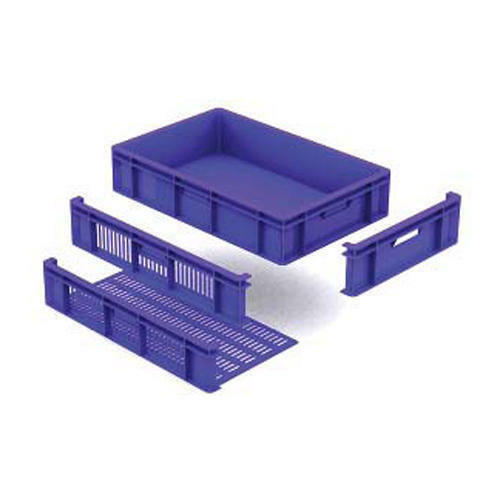 500x325 Series Crates are very useful crates, which fit into recyclable Material Handling of very diverse products, be it Bakery, Fruit & Vegetable, Automobile, or Engineering products. Available in Height as low as 100mm, high of 250 mm, Supreme also provides Front Partially Open Crates for easy handling of small parts and spares in storage. Established in the year 2017 at Mumbai, Maharashtra, we “Chaitanya Utility Product Co.” are a Sole Proprietorship based firm, engaged as the foremost Distributor/Channel Partner and Trader of Super Jumbo Crate, Mini Jumbo Crate, Jumbo Crate, etc. Our products are high in demand due to their premium quality and affordable prices. Furthermore, we ensure to timely deliver these products to our clients, through this, we have gained a huge clients base in the market.